Scotland is a magnificent part of the world. One of the reasons is that it sparkles with more than 35000 lakes of various sizes. 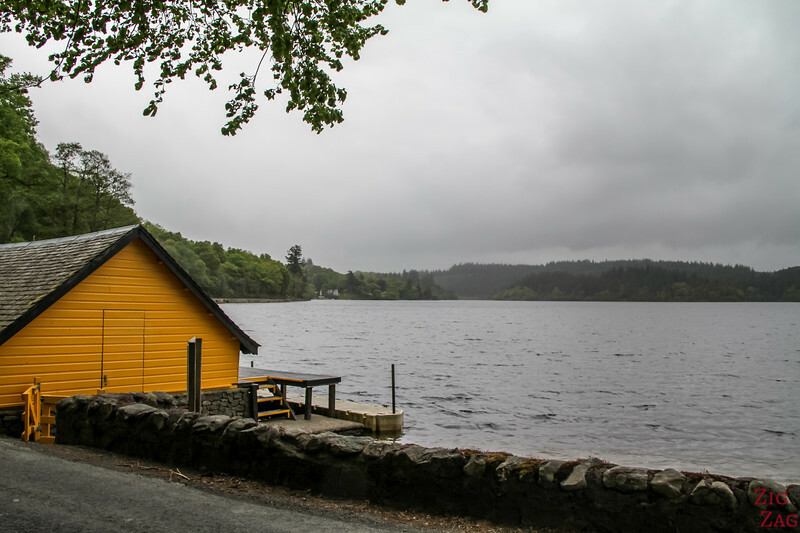 In this article, discover 50+ of the best lochs in Scotland including my own choice for the 10 most beautiful Scottish Lochs list. And with photos to inspire your next trip! 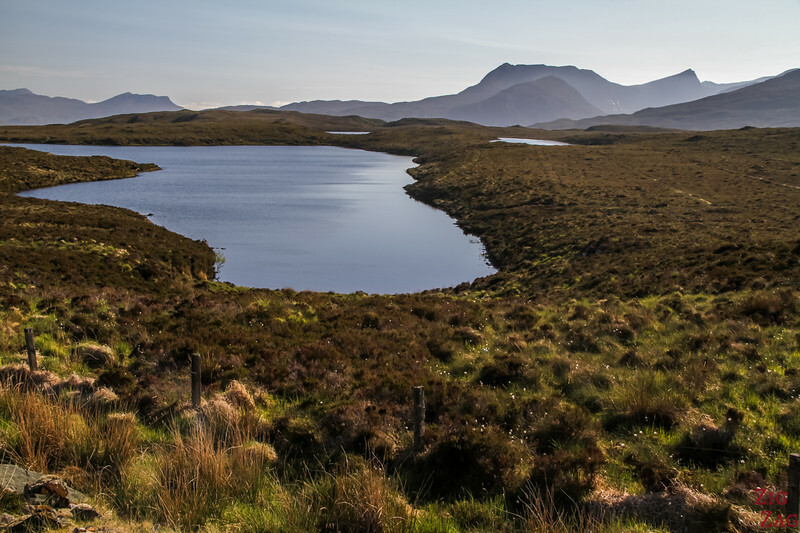 According to Wikipedia, there are more than 30000 freshwater lochs and lochans in Soctland. 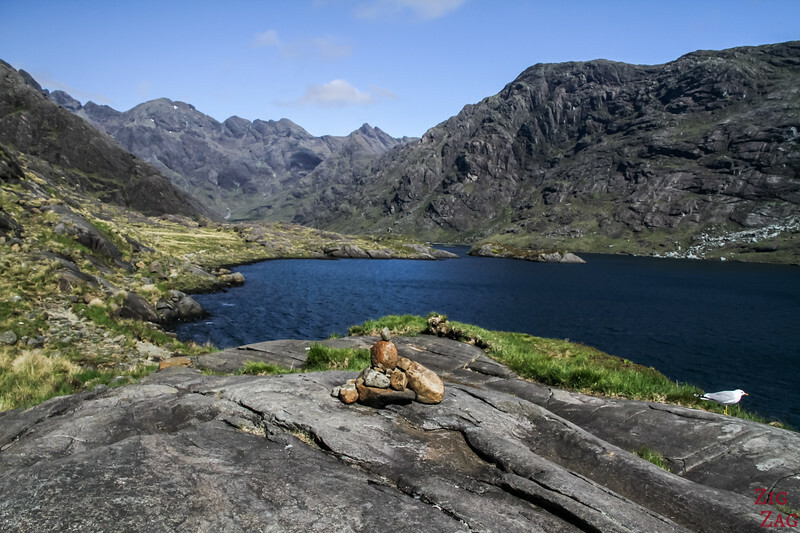 Accessible only by boat from Elgol or after a long hike, Loch Coruisk is on the West shore of the iconic Isle of Skye. 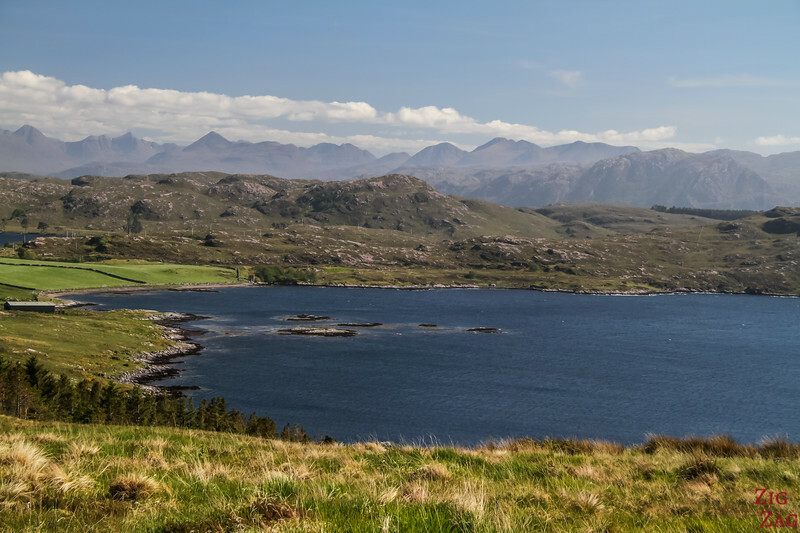 Stuck between the black Cuillin Mountains and the sea, it offers magnificent views. 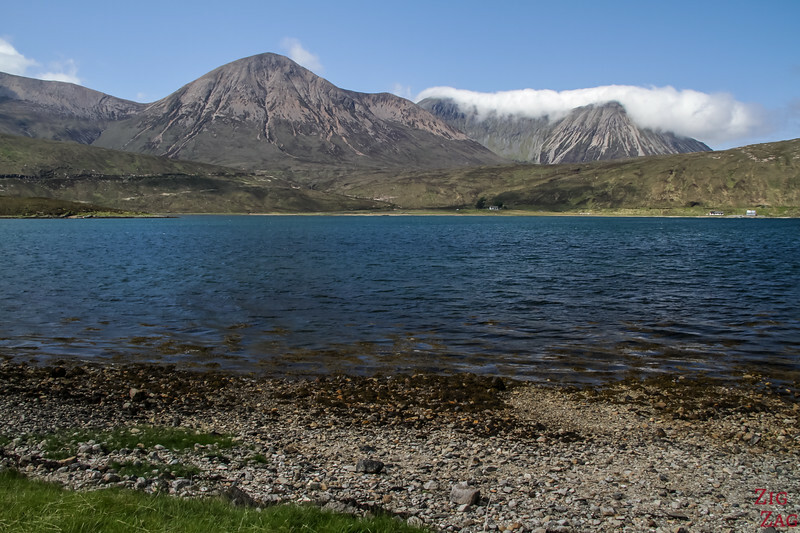 Many Photos and Planning info on the Loch Coruisk and Elgol Boat tour article. More Photos and Planning info on the Road to the isles article. 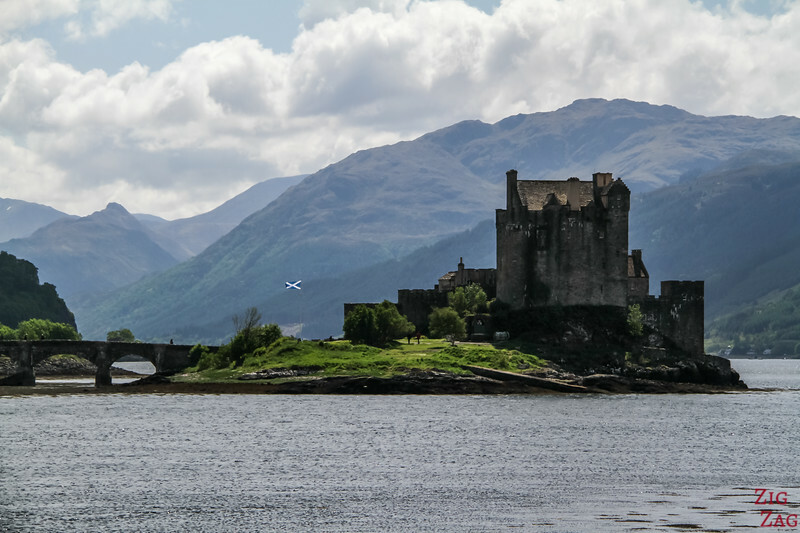 The Eilean Donan Castle (one of the most famous Scottish Castles) is located where 3 lochs meet. 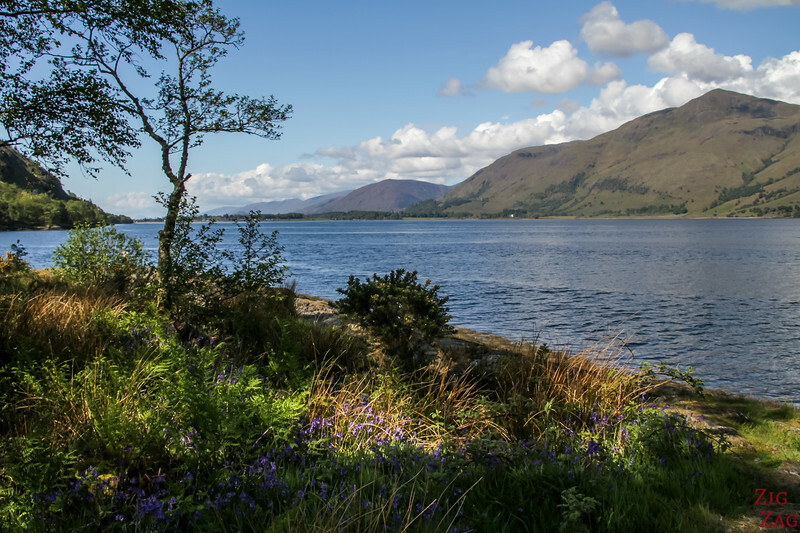 If you drive pas the castle towards the Isle of Skye, you get a fantastic view of the high peaks surrounding Loch Duich and the castle at its entrance. More Photos and Planning info on the Eilean Donan Castle article. 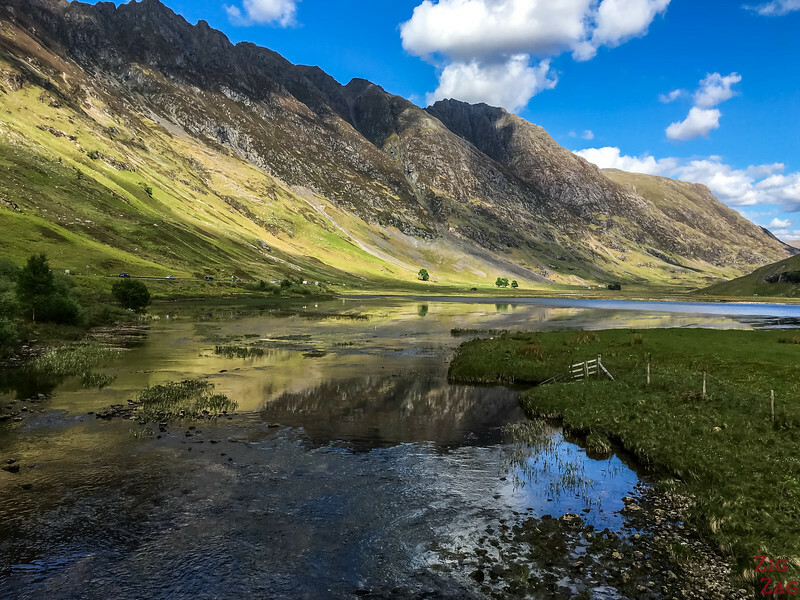 Loch Atriochtan is often overlooked in Glen Coe. 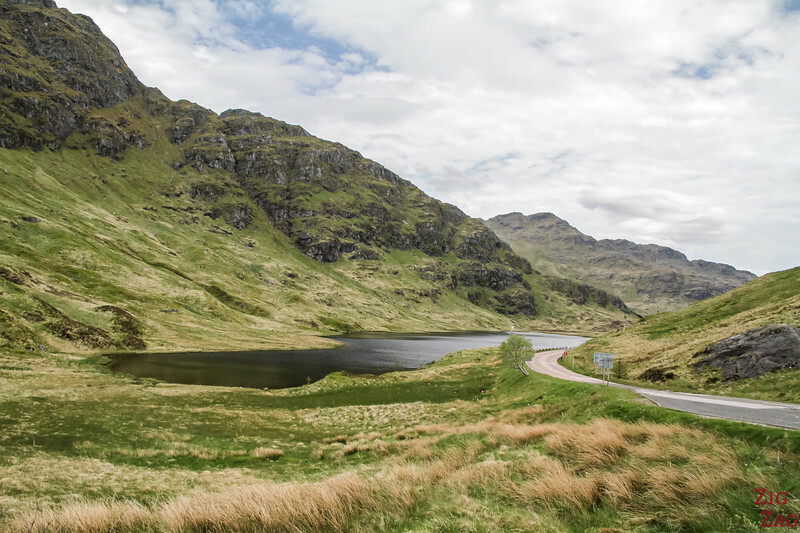 A82 go through the magical landscapes. Towards the West the valley narrows and get filled with a small loch. I found this huge wall very impressive. 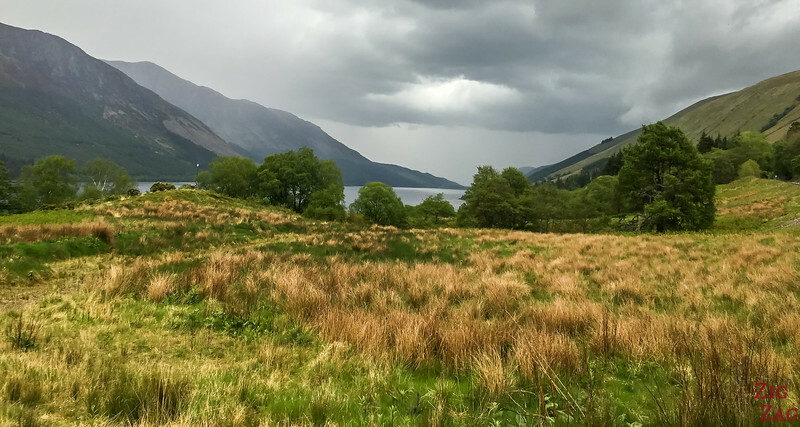 More Photos and Planning info on the A82 through Glen Coe article. 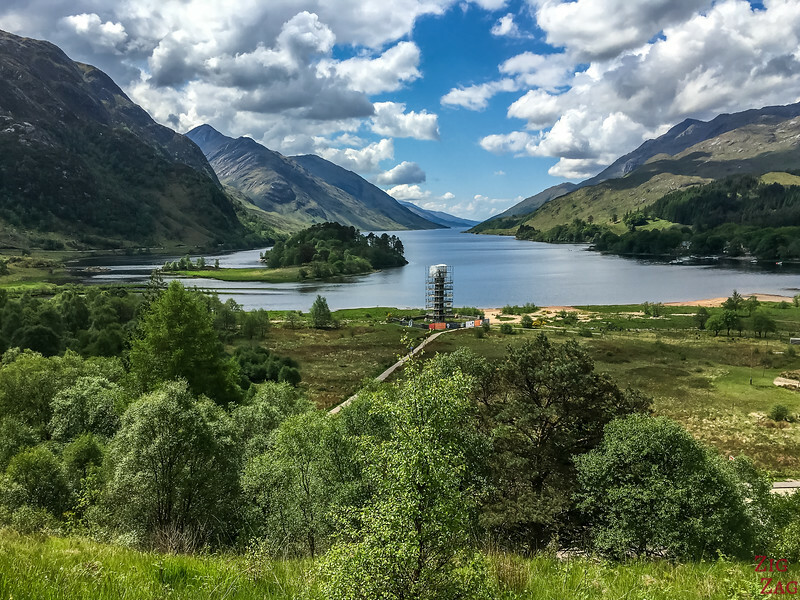 At the end of Glen Etive, a stunning valley you can drive through on a single lane road, you will be able to enjoy the magnificent Loch Etive. Its wilderness and remoteness make it very attracting. I just wished I had a kayak to go explore. 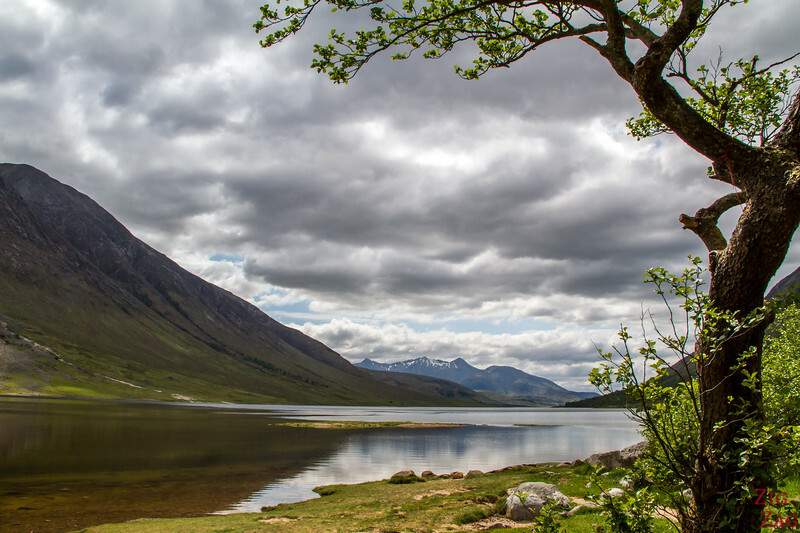 More Photos and Planning info on the Glen Etive and Loch Etive article. 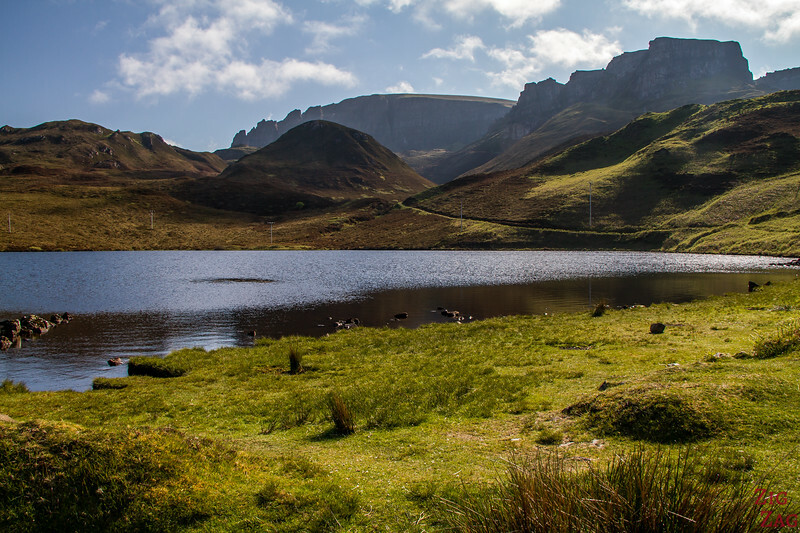 North of the Isle of Skye, past all the famous sites of Storr, Kilt Rock and Quiraing, lies hidden from the road the small loch Langaig. 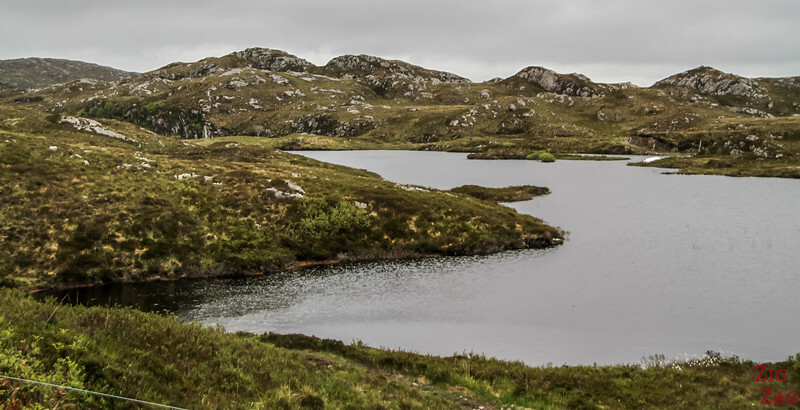 The lake has nothing special but the stunning ridge behind made me select it as one of the best lochs in Scotland. The view was really magnificent. 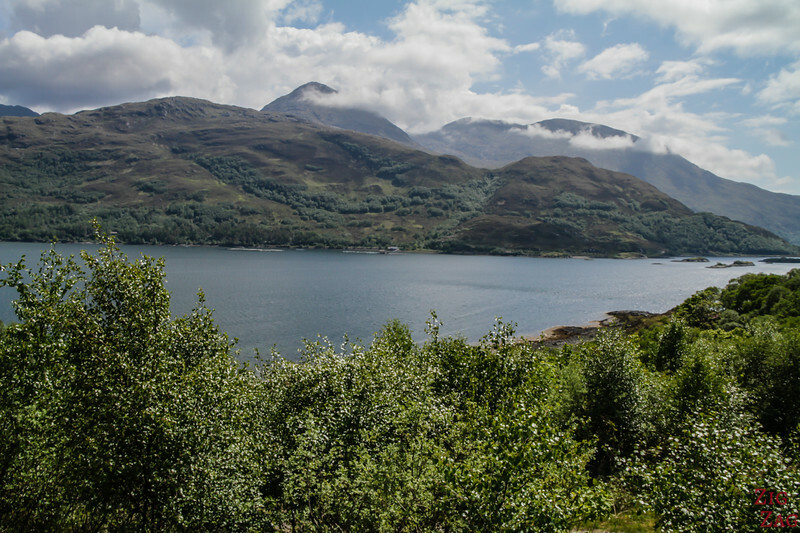 In the Wester Ross region, North West of Scotland, Loch Maree is a long loch niched in the mountains. The road even takes you higher with nice views of the valley. 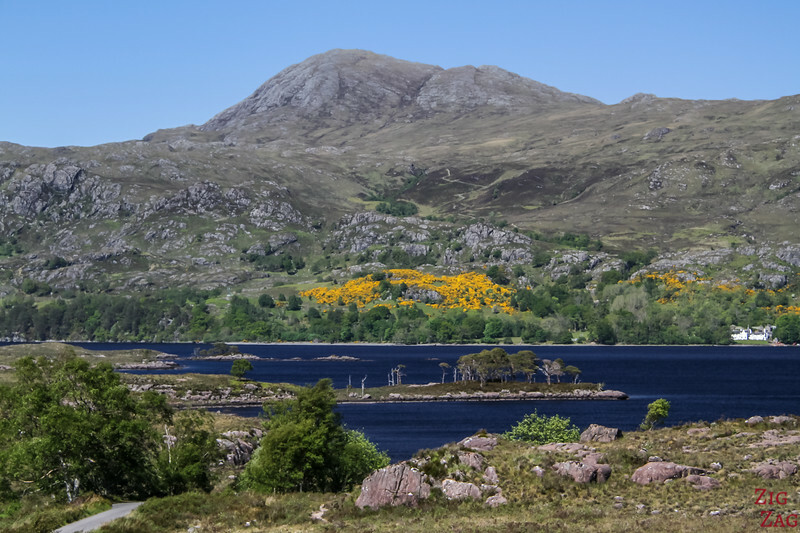 More Photos and Planning info on the Loch Maree article. 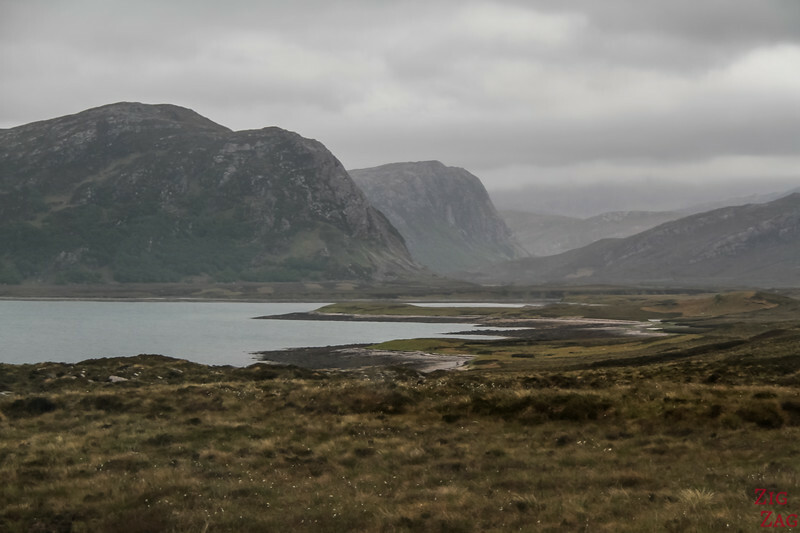 Driving towards the Northern shore of Scotland, I was amazed by the scenery of the Deep Freeze Mountains with the many lochs spotting the area. 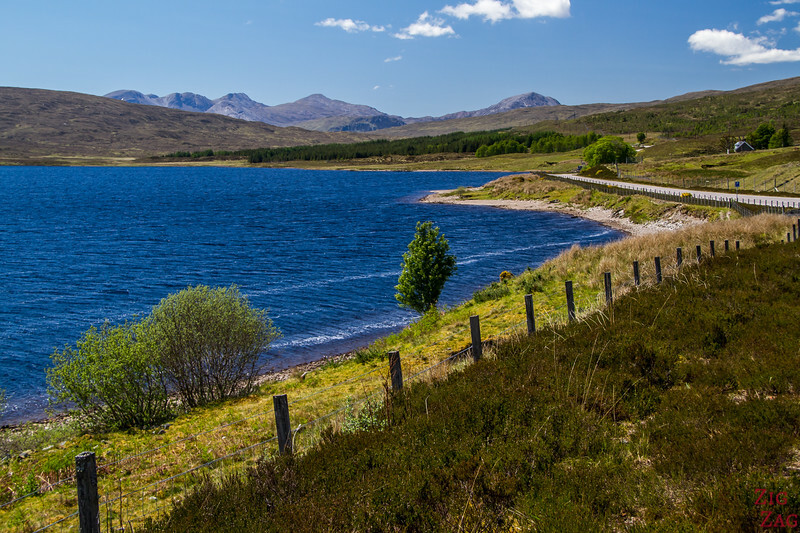 Almost 10km long, Loch Assynt is a freshwater loch, North West of Scotland. This remote region offers stunning landscapes as well. This lake has high summits and small islands with few trees. Quite intriguing. 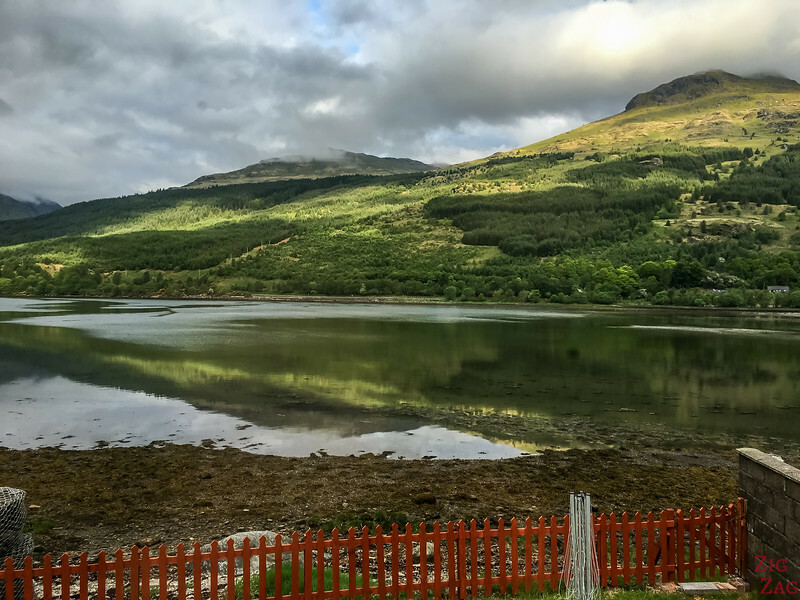 As you can imagine I have not seen all the lochs of Scotland but I have seen many and planned my trip based on research to see as many as possible of the most scenic ones. 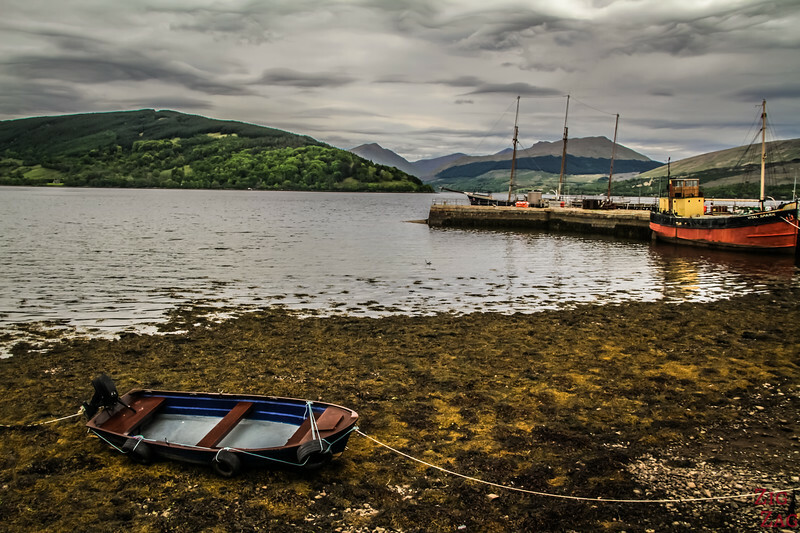 This list of Scottish lochs include those accessible by car (except 1 by boat). 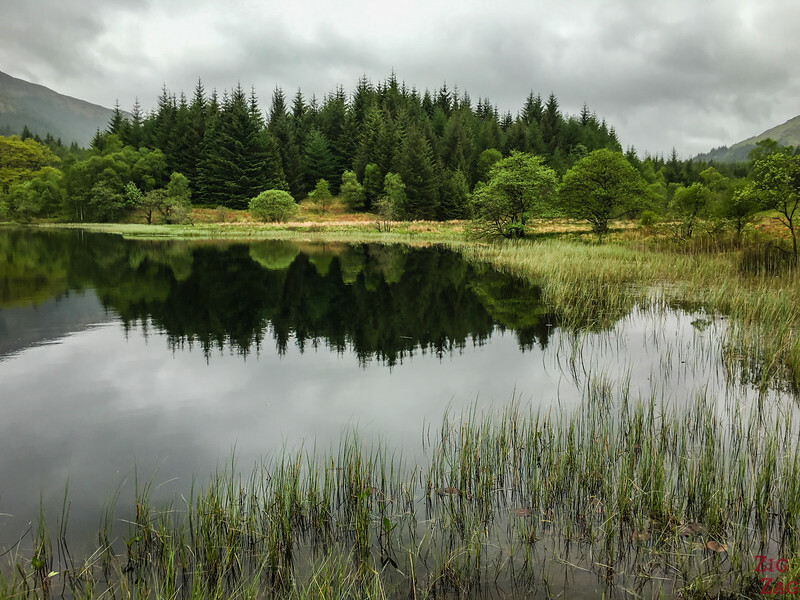 Other lochs are more remote and only be seen when hiking. They must be spectacular too. 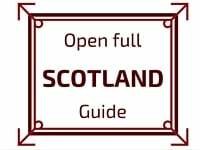 If you are planning a trip to Scotland and want to include those lakes, have a look at my eBook about Scotland. It includes practical maps of all the regions with the most beautiful sites to visit for easy planning. 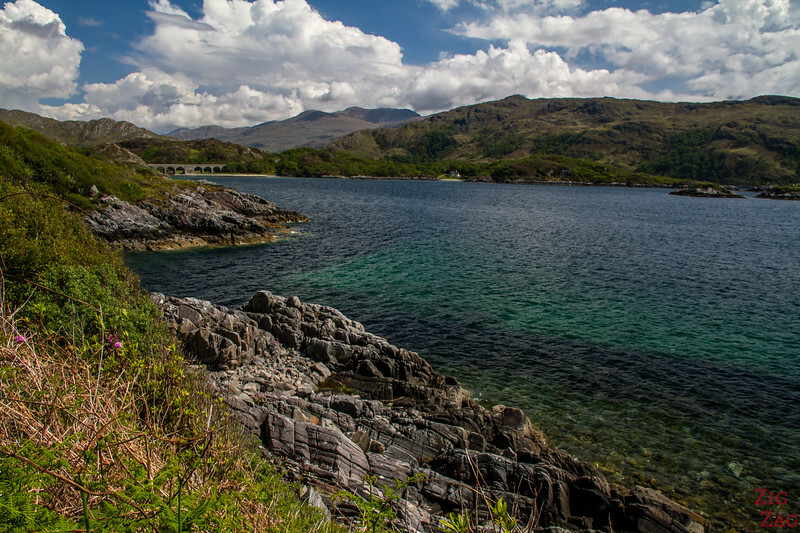 These lochs, along with many other beautiful places, are included in my eBook: The Road Trip Guide - Scotland. 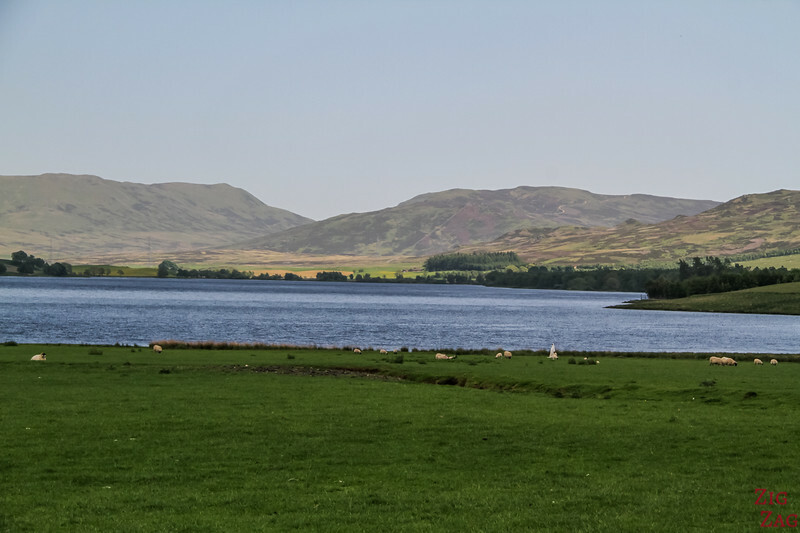 The name is not familiar, but because of its location, Loch Leathan is quite famous. As you can see it is a the foot of the Trotternish ridge with amazing views of the Old Man of Storr. 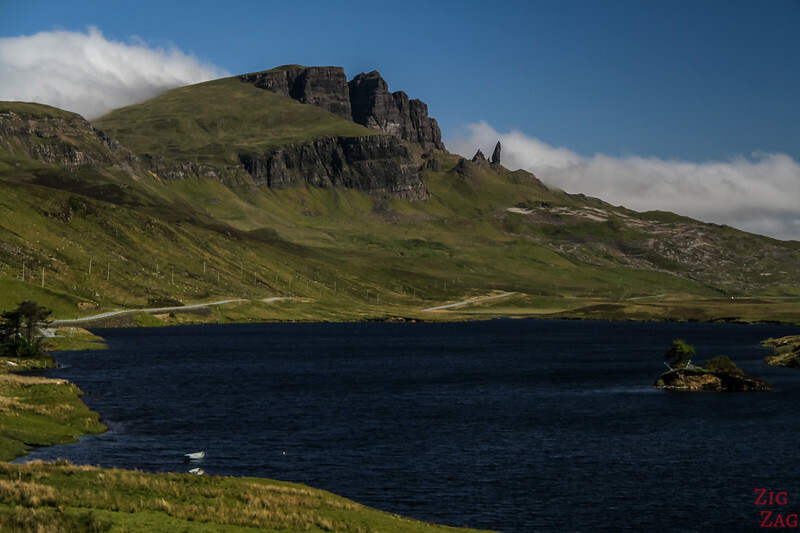 More Photos and Planning info on the Old Man of Storr article. 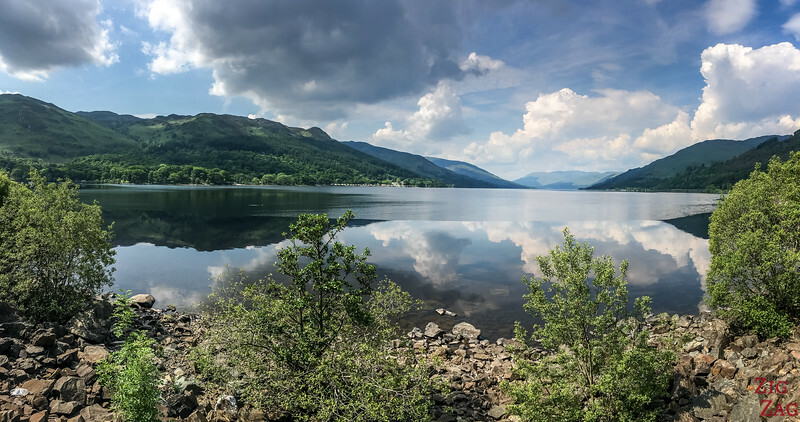 Located in the Loch Lomond and Trossachs National park, loch Lomond is very well-know as it is easily accessed from both Glasgow and Edinburgh. 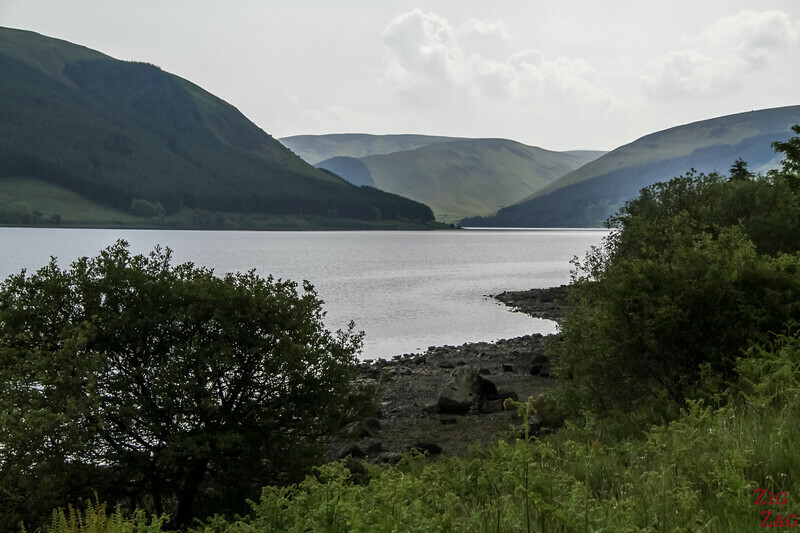 Many activities have developed around the loch. Wide to the South, I prefer the narrower North section making it more scenic. 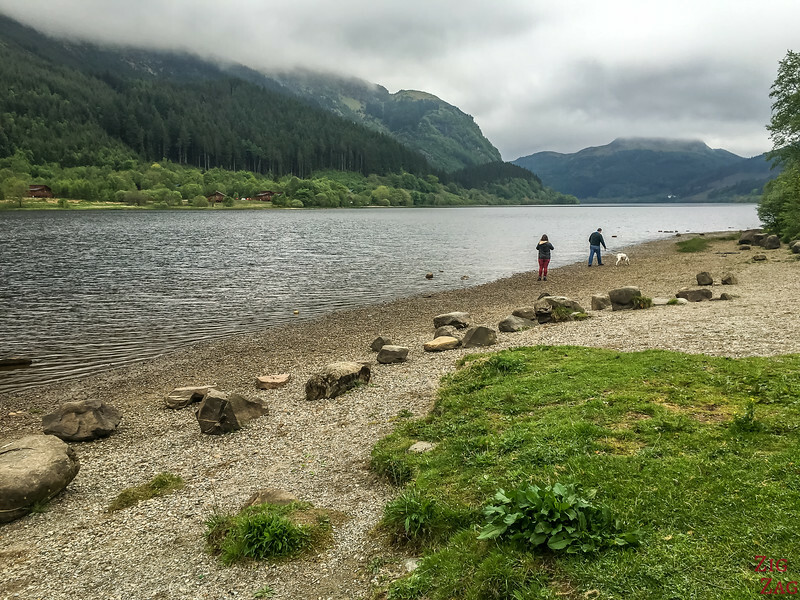 More Photos and Planning info on the Loch ﻿﻿﻿Lomond article. 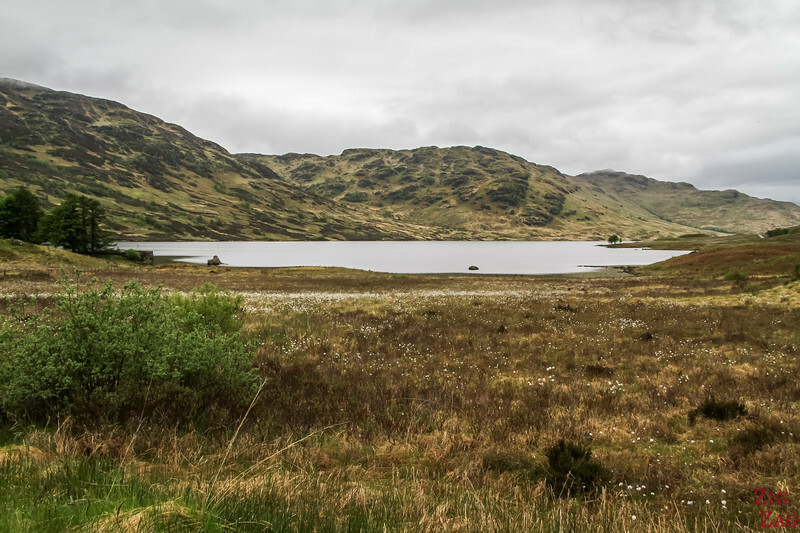 The other main lochs in the Trossachs is Loch Katrine. 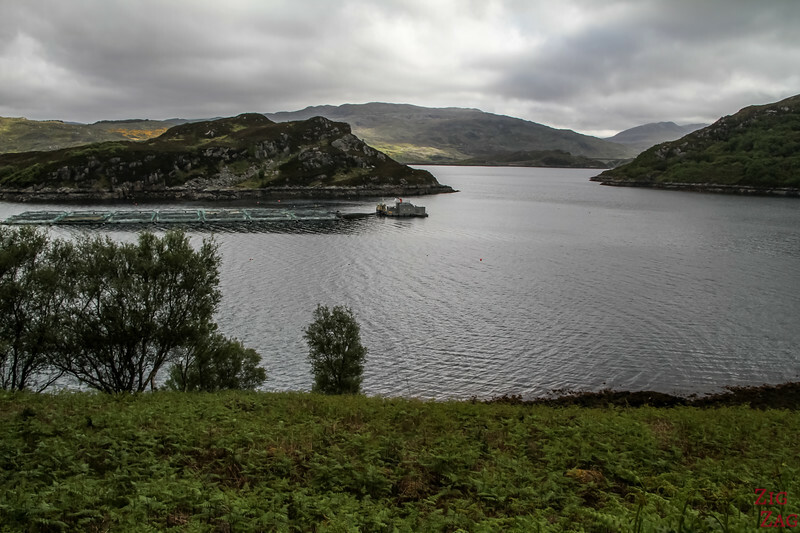 It is not the most spectacular but it was made famous by the Sir Walter Scott steamship, which has been cruising its water for more than a century. 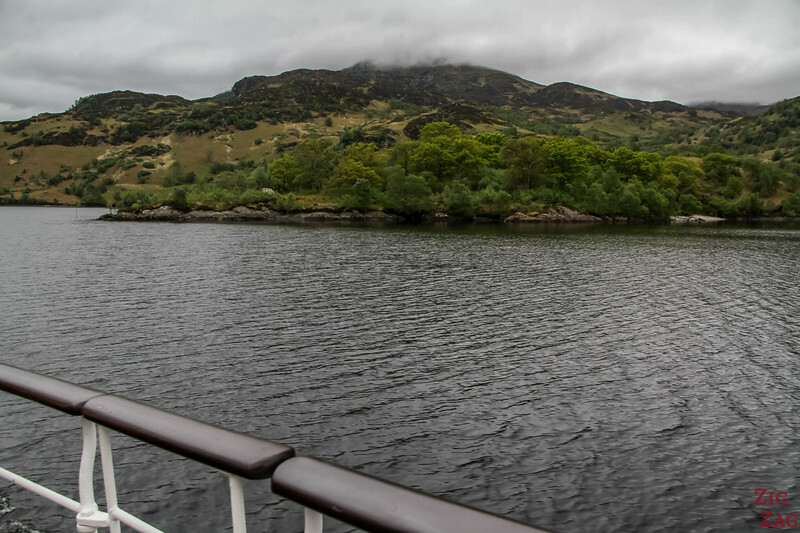 More Photos and Planning info on the Cruising Loch Katrine article. 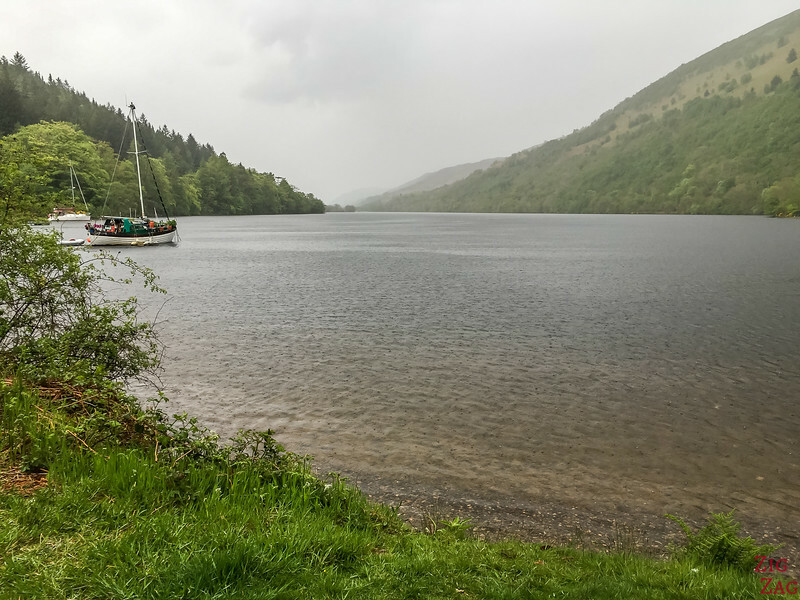 Maybe the most famous lochs in Scotland by name, the Loch Ness attracts the highest number of tourists intrigues by the legend of the Nessie Monster. Just be aware that in terms of landscape it is not very impressive. 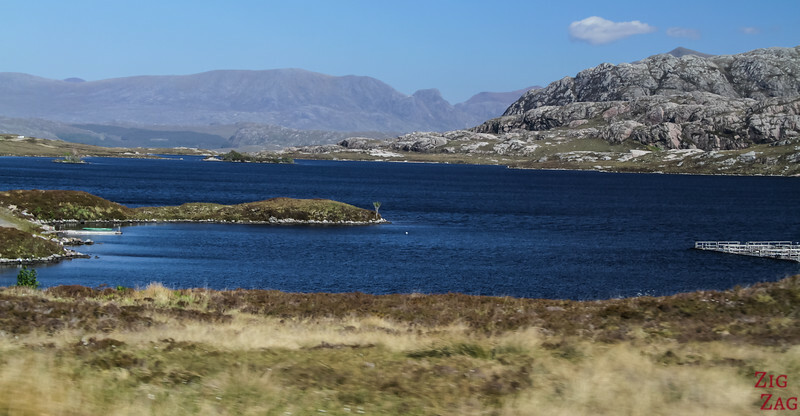 the loch is quite large and the surrounding summits not high. 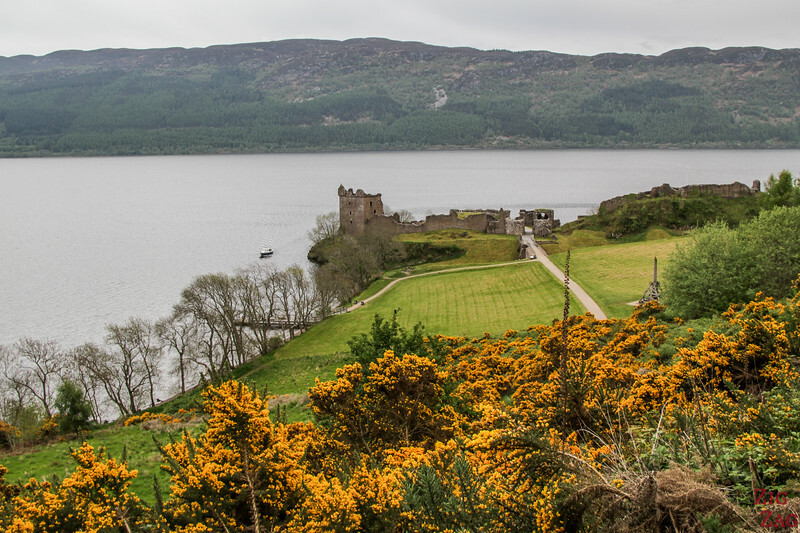 More Photos and Planning info on the Loch Ness and Urquhart Castle article. 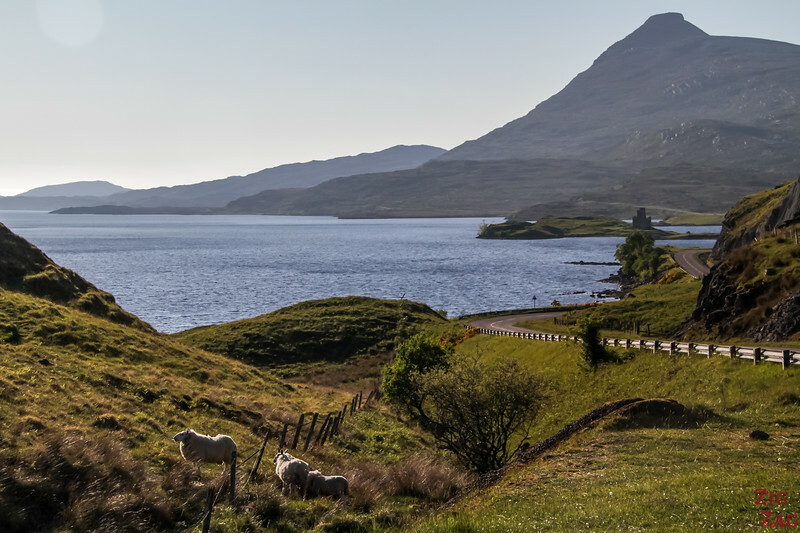 Again, this one is not very famous by name but being on the road to access the isle of Skye, everyone gets really excited as they drive along Loch Alsh. 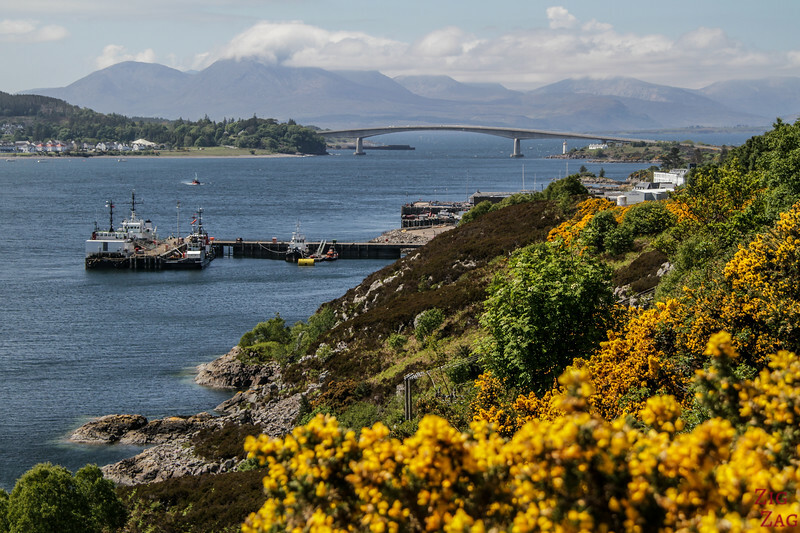 On a clear day, like on the photo above, you can clearly see the summits of the isle of Skye behind the Skye bridge. 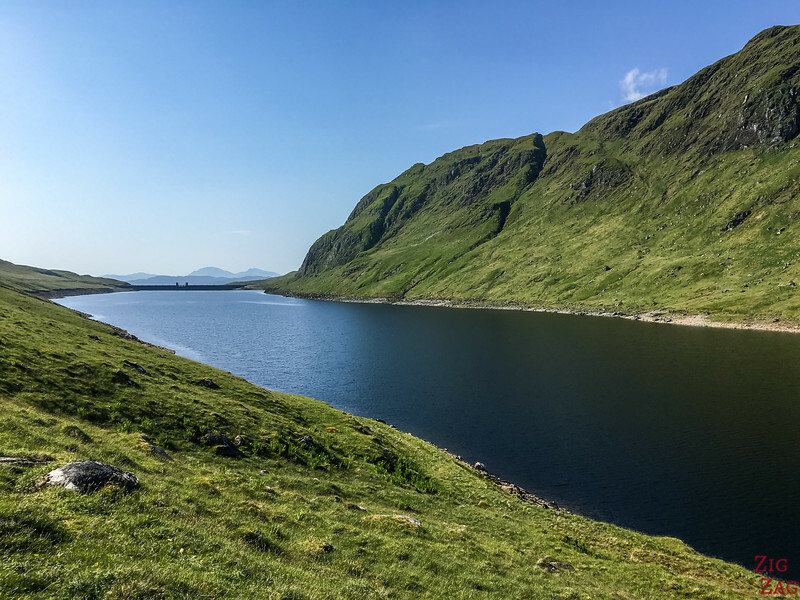 More Photos and Planning info on the Road to Skye article. 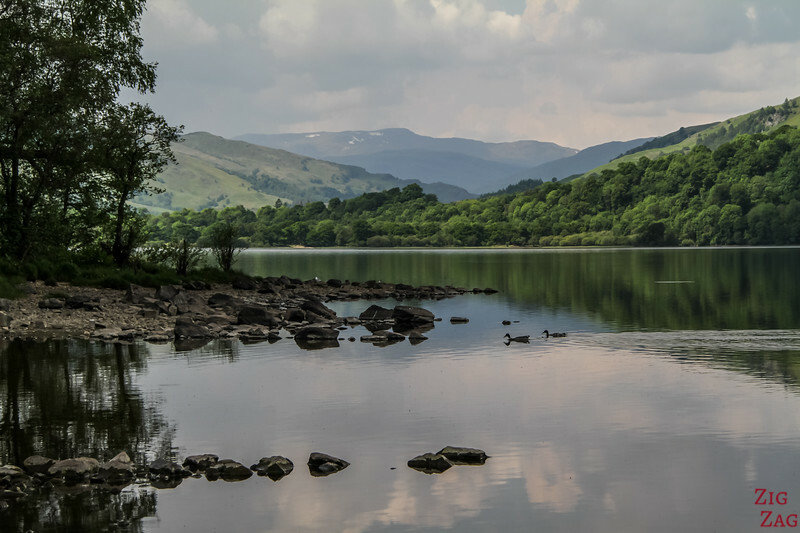 Located in the Argyll region, Loch Awe deserves its name. 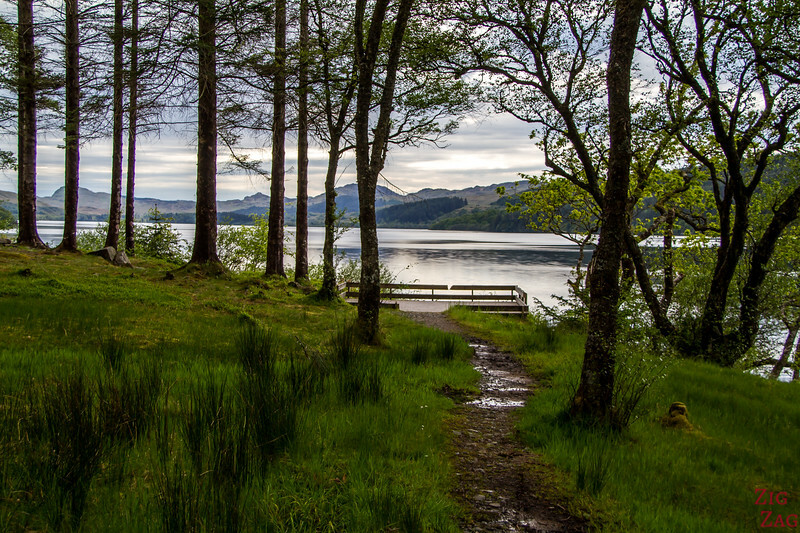 Towering summits and castle at one end and peaceful forest at the other, loch Awe has a lot to offer. 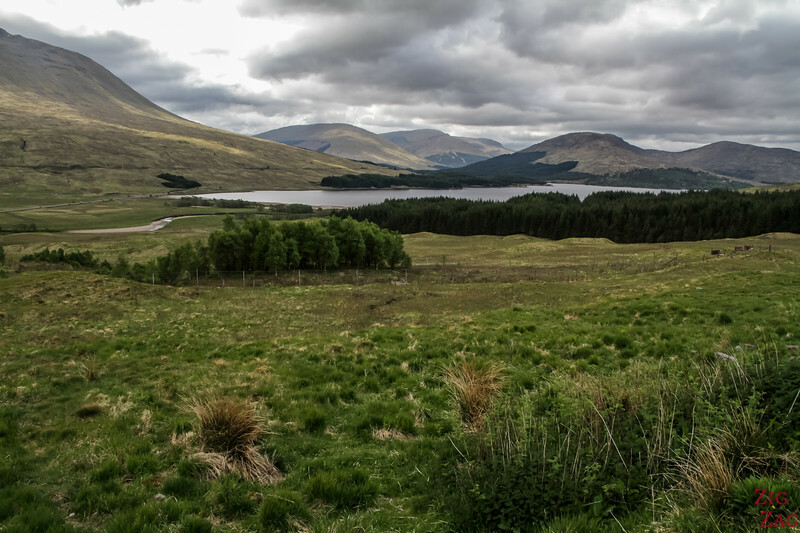 More Photos and Planning info on the Loch Awe article. 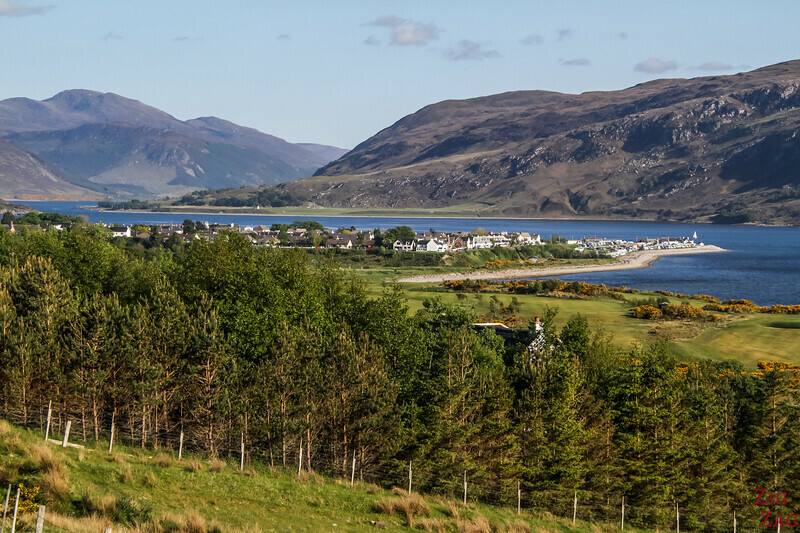 With the small town of Ullapool on a promontory in the middle, Loch Broom is considered one of the best lochs in Scotland by photographers. 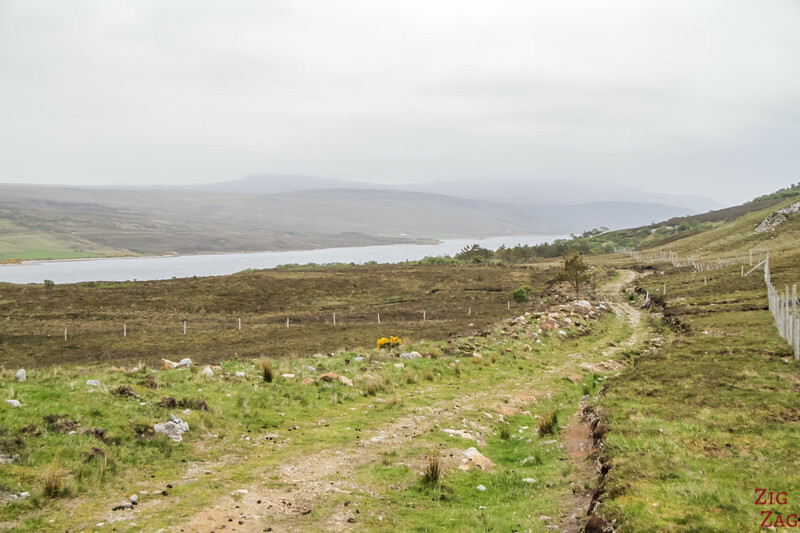 No summits or incredible landscapes around Loch Stenness on the Orkney islands. But the place is of historical importance and home to major Unesco sites including the Standing Stones of Stenness and the Ring of Brodgar. Quite magical. 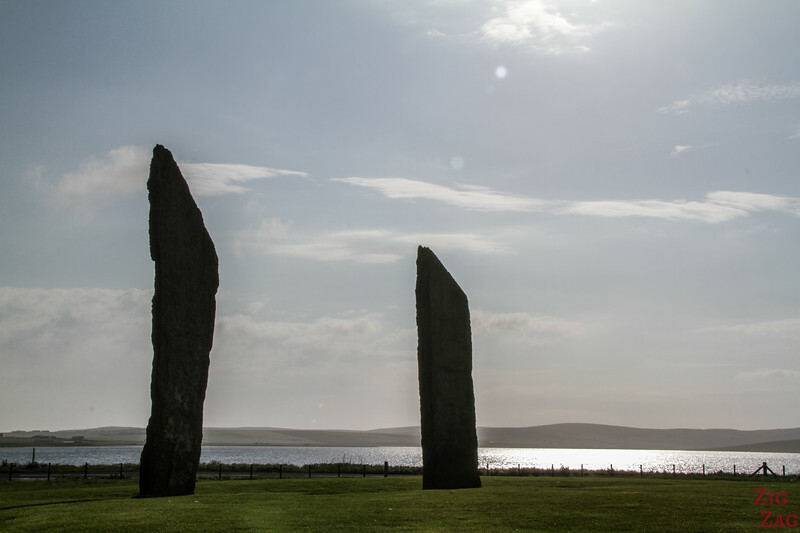 Learn more about the site on the ﻿﻿﻿Standing Stones of Stenness article. 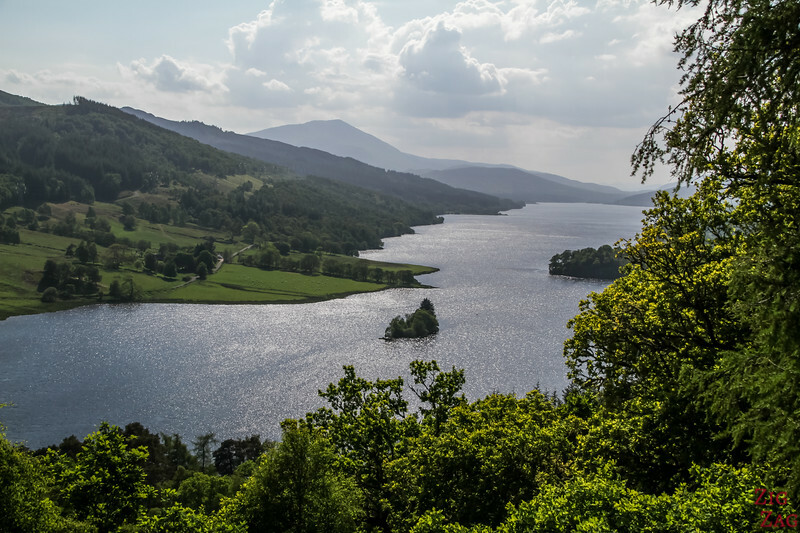 The long loch Tummel has become famous thanks to a viewpoint named the Queen's view of Scotland and considered one fo the best in the region. More Photos and Planning info on the Queen's view of Scotland article. Scotland is cut in half by the Great Glen. 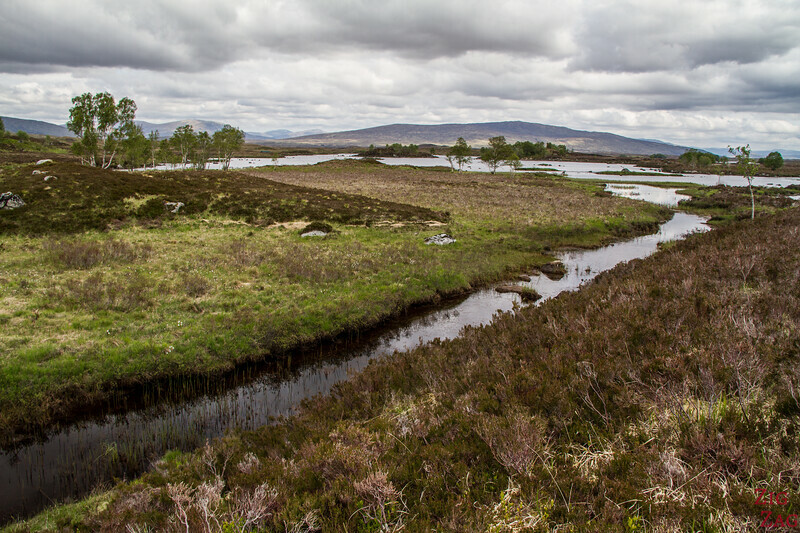 A series of natural and man-made lochs along a line between Inverness and Fort Williams. 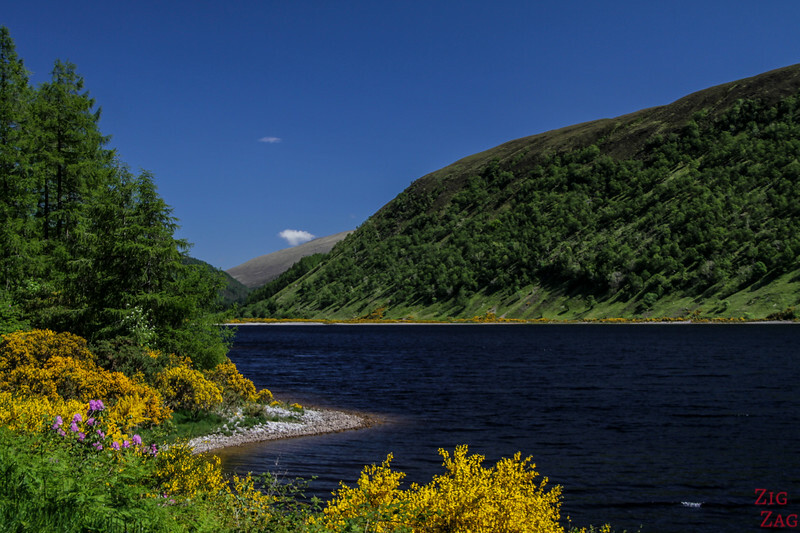 The next lochs of Scotland have been gathered by geography (North or South of the Great Glen) in no particular order. Don't miss any of them. The last ones are also beautiful! 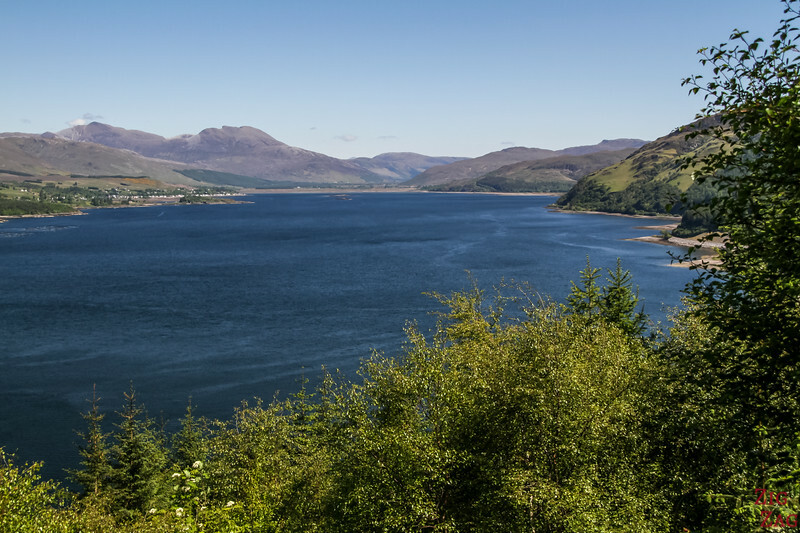 The Loch Ness, introduced earlier in this article, also lays on the Great Glen, towards the North and Inverness. 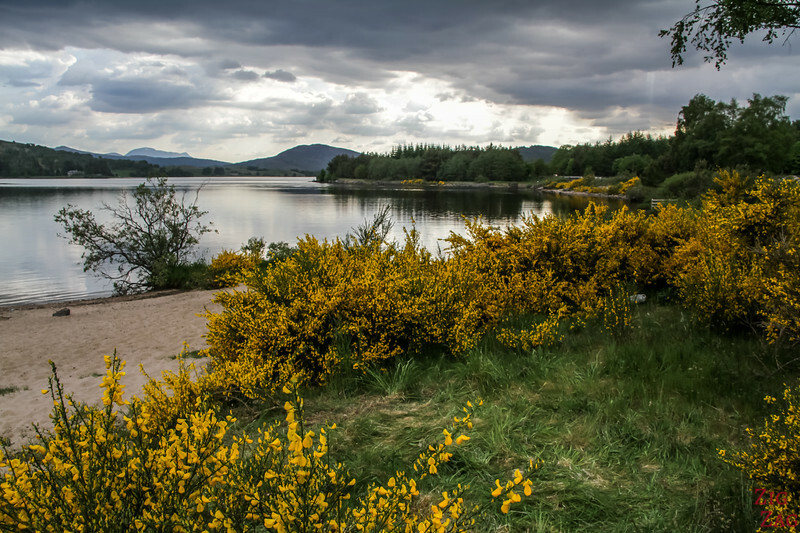 Which one is your favorite lochs? Lovely photographs and Informative . I’ve sent it to my cousin in Australia. Thanks. So much to see!